shichigoro-shingo is participating in “Creative Pet Project”. 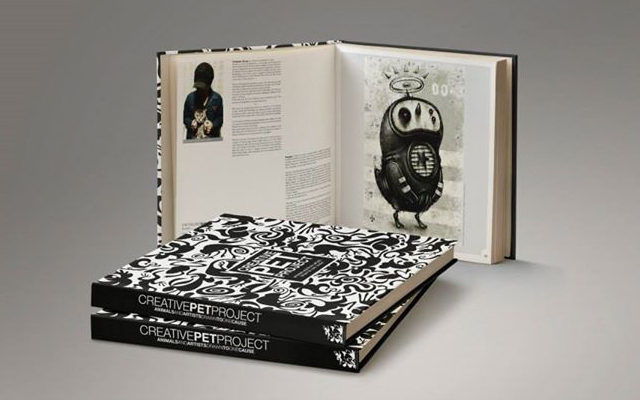 Creative Pet Project publishes and sells over 250 pages of the art book in full-color that compiled artworks with animals, photos of pets and a talk about pets by artists who have pets. And it seems that it’s a charity campaign to solicit donations as book’s price or more donations, and the money collected from this campaign will use in a charitable activity for animals. I’ve come out in the photo with my lovely pet cat Apollo who is 18 years old now. Please check the site below, if you are interested in it. shichigoro-shingo Print Pack Limited Edition is sold. Please check at near the bottom of a linked page.